In the last four decades, Sol P. Kahoʻohalahala has served as an elected public official serving six years at the Maui County Council and five years at the Hawaiʻi State Legislature. 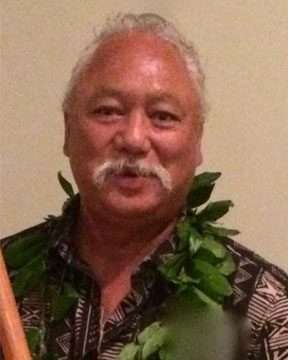 He was appointed and elected Chair of the Hawaiʻi Sovereignty Commission, appointed Executive Director of the Kahoʻolawe Island Reserve Commission, organized the Lānaʻi – Protect Kahoʻolawe ʻOhana, crewmember of the Hōkūleʻa, a Hawaiian voyaging double-hulled canoe, and has served on numerous boards and commission at County, State, Federal and NGO levels. In 2011, he organized and established the Maunalei Ahupuaʻa Community Mauka-Makai Managed Area (Maunalei Ahupuaʻa CMMMA) to enable and empower the community and especially the youth of Lānaʻi to implement steps toward island stewardship and to become the keepers of their surrounding nearshore waters, the mauka ridge to reef lands and the fragile natural and cultural resources.